ChargeIt by Jay Glamour Gold Charger Plate 13"
Home > Products > ChargeIt by Jay Glamour Gold Charger Plate 13"
Impress your guests with the ChargeIt by Jay Glamour Gold Charger Plate 13". 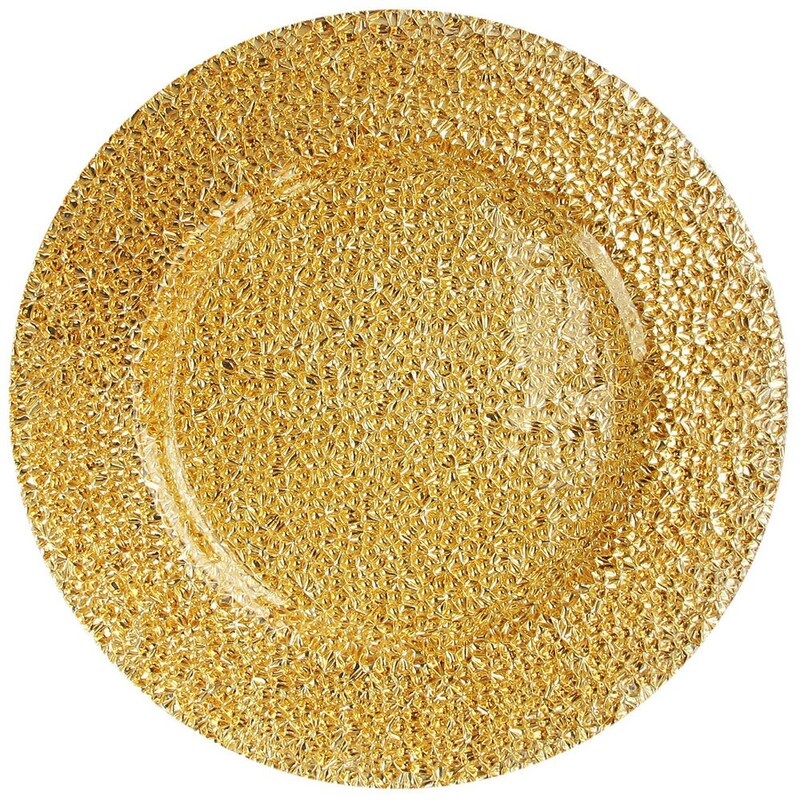 Boasting a dazzling, splattered gold glass design, this eye-catching piece will add a unique touch to your table setting. This work of art will provide an eye-catching backdrop to highlight your served dishes while preventing spills from staining your tables. An excellent addition to restaurants, hotels and other food service establishments, this charger plate is a great option for upscale events like weddings and other types of receptions.